Happy Halloween! It has been a beautiful Fall day in Hatteras. Inshore anglers headed out this morning and afternoon and returned with quite a mixed bag. 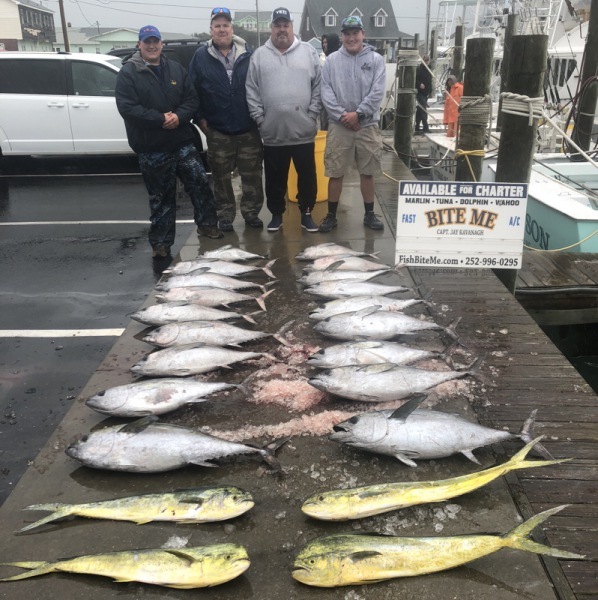 Flounder, Bluefish, Spanish Mackerel,and small Speckled Trout were all caught in the Pamlico Sound.Several offshore charters went out to the Gulf Stream and returned with real nice catches of Blackfin Tuna. King Mackerel have shown up again and the season for those seems promising - Good Fall Fishing! 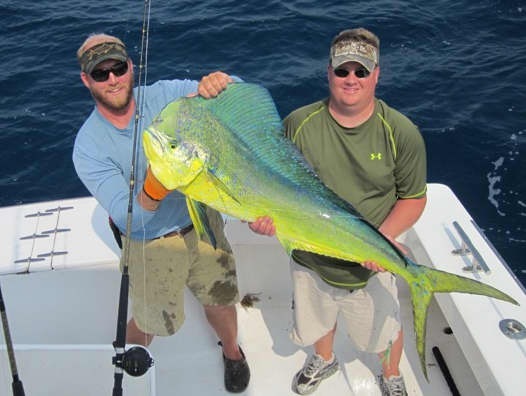 Interested in fishing give us a call at 800-676-4939 for more information. A couple of boats finally fishing Offshore after several cool windy days. 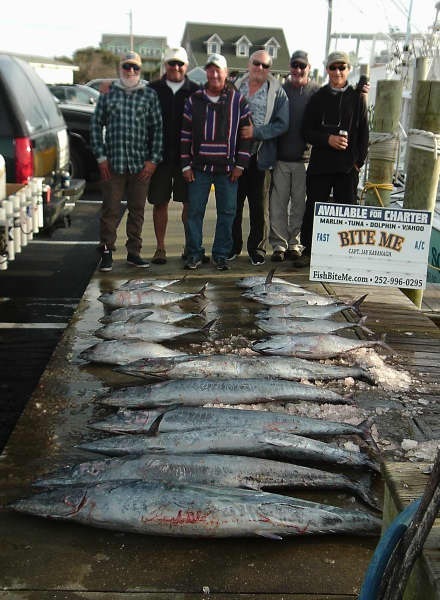 They reported excellent Blackfin Tuna a few Dolphin and large Wahoo. 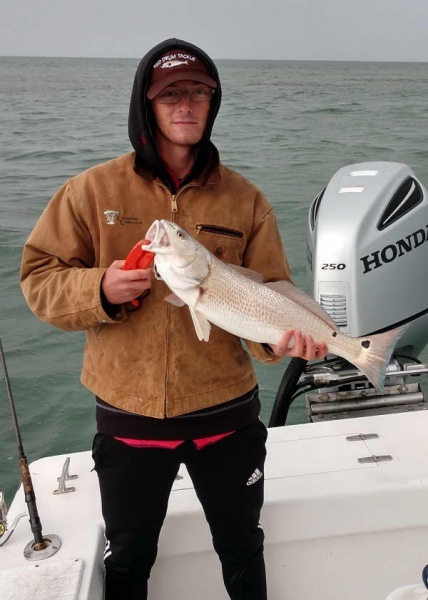 Inshore boats were finding Red Drum in the slot size. Release: Daniel Spitz of Salem, NY caught a 23lb Blackfin Tuna. The weather today was not conducive to fishing with West winds gusting 16-20 mph. Overcast skies kept temperatures in the 50's. Overall a pretty chilly, damp day. The forecast shows improvement beginning tomorrow with plentiful sunshine throughout the week. We are currently looking for people for a Make up charter for Monday or Tuesday - give us a call at 800-676-4939 for more information. The wind fell out last night and switched SE allowing for several charters to go out this morning. One charter fished inshore and got on some keeper Drum. What a great dinner to have on a stormy night - Hatteras style Drum Stew! 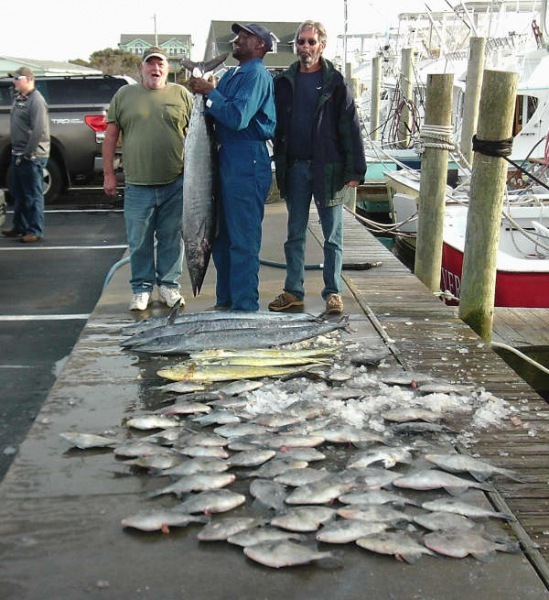 They completed their catch with Spanish Mackerel and Bluefish. 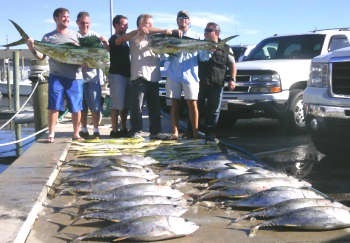 Two charters went offshore and returned early with excellent catches of Blackfin Tuna and a few Dolphin. There are high winds and storms forecast for tonight and early tomorrow and these anglers were glad they had the chance to get out today. Check back to see how the weekend pans out. Hunter Suter of Catlett, VA: 25 lb. Blackfin Tuna on Bite Me. Robert Wiser of Catlett, VA: 23 lb. Blackfin Tuna on Bite Me. William Suter of Catlett, VA: 25 lb. Blackfin Tuna on Bite Me. Kyle Suter of Catlett, VA: 24 lb. Blackfin Tuna on Bite Me. The wind was still out of the north today, however it did fall out enough for several offshore charters to get out to the Gulf Stream. 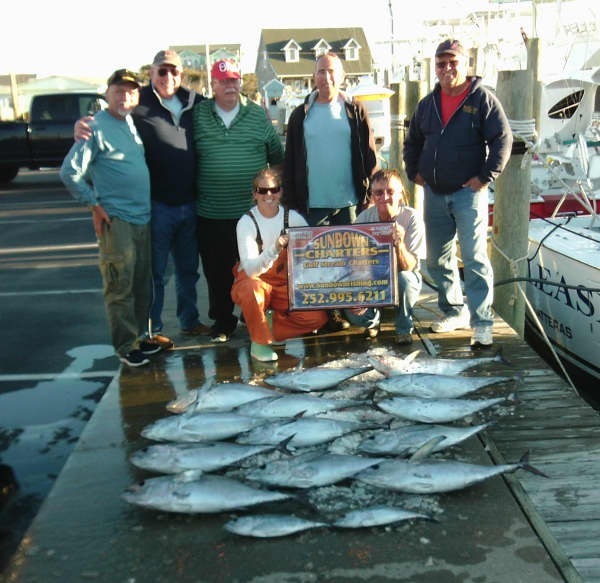 Anglers received a treat with excellent catches of Wahoo and Blackfin Tuna, as well as a few Yellowfin Tuna. Triggerfish was the bottom fish of the day. Check out the citations! 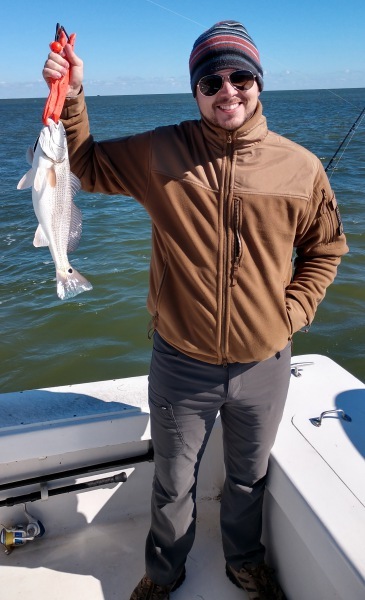 Inshore charters also got on the fish - Spanish Mackerel put on a good bite, along with Speckled Trout, Gray Trout, and Bluefish. A nor'easter is forecasted to blow in sometime over the weekend, but they are waiting to see what happens so that maybe they can get another fishing day before the rain and wind. Mick Johnson of Pasadena, MD: 42 lb.Wahoo and 28 lb. Blackfin Tuna on Good Times. Shane sondergard of California, MD: 25 lb. Blackfin Tuna on Good Times. Dustin Sondergard of Annapolis, MD: 40 lb. Wahoo and 26 lb. Blackfin Tuna on Good Times. Raymond Conrad of Tustin, CA: 23 lb. Blackfin Tuna on Good Times. Gilbert Duval of Annapolis, MD: 25 lb. Blackfin Tuna on Good Times. Frank Jenkins of Sumter, SC: 54 lb. Wahoo on Release. Inshore charters made it out this morning for an excellent Red Drum bite with keepers being caught. A strong North wind blew in early this morning keeping Offshore charters at the dock. It is supposed to continue to blow from the North through Friday. Check back to see if anyone gets out. Lots of boats out fishing today with temps in the upper 60's. 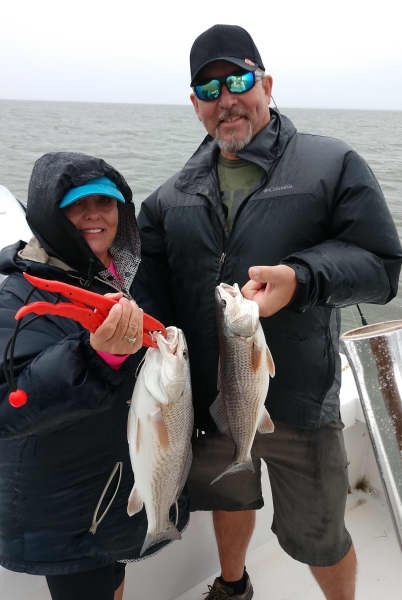 Inshore boats found excellent Red Drum bites and some Spanish Mackerel. Offshore boats were catching lots of Triggerfish a few Dolphin good Blackfin Tuna and citation Wahoo. Tradition: Reagan Maleta of Goochland, VA released a 40" Red Drum. John Maleta of Goochland, VA released a 40" Red Drum. Christopher Hall of Columbia, VA released 49" 44" and 40" Red Drum. Harrison Hall of Columbia, VA released a 40" and 41" Red Drum. Bite Me: Connor Lindsay of Sarver, PA released a Sailfish. Release: Clay Overbey of Bumpass, VA released a Sailfish. Good Times: Raymond Williamson of Sunnyvale, TX caught a 5lb Triggerfish. Joseph Williamson of Forest , VA caught a 5lb Triggerfish. Predator: TJ Berry of Virginia Beach, VA caught a 47lb Wahoo. Alexander Stanley of New Kent, VA caught a 51lb Wahoo. 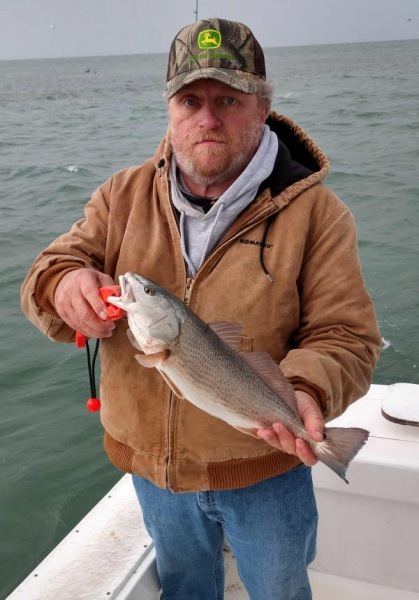 HHM: Steve Coulter of Hatteras, NC caught a 5lb Speckled Trout. Several boats out fishing today in cold weather with temps in the 50's. 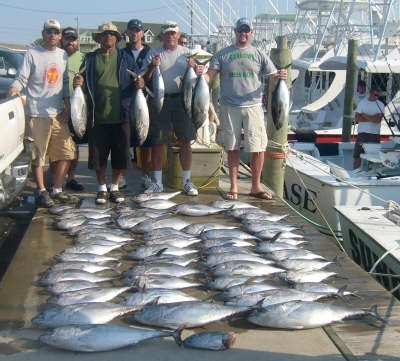 Offshore boats found good Dolphin, large Wahoo, Blackfin and Yellowfin Tuna a few King Mackerel. Tuna Duck released a Sailfish. 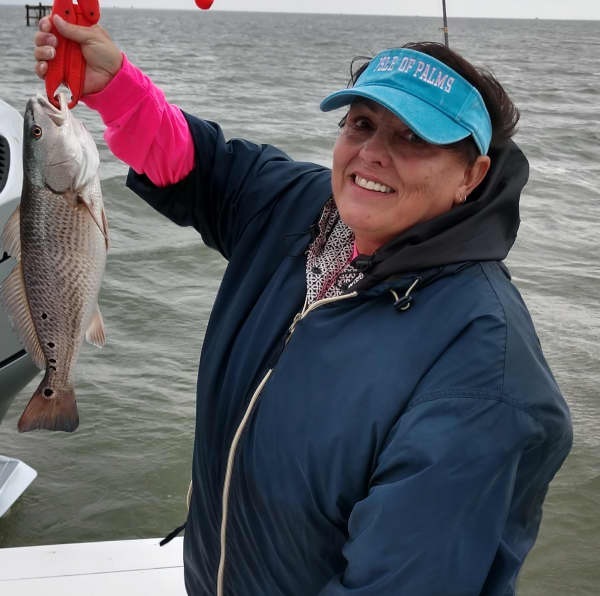 Inshore boats found lots of Red Drum and Trout with a few large Bluefish. Release: William Ballard of Stafford, VA caught a 48lb Wahoo. Tuna Duck: Robert Bogner of Wooster, OH released a Sailfish. Sound Bound: Michael Hodgson of Rosedale, MD released 3 Red Drum. 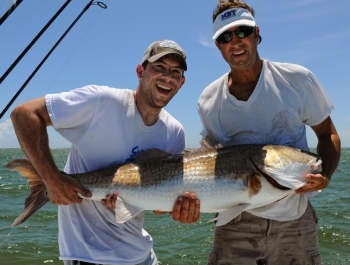 John Diehl Jr. of Williamsburg, VA released a 44" Red Drum. 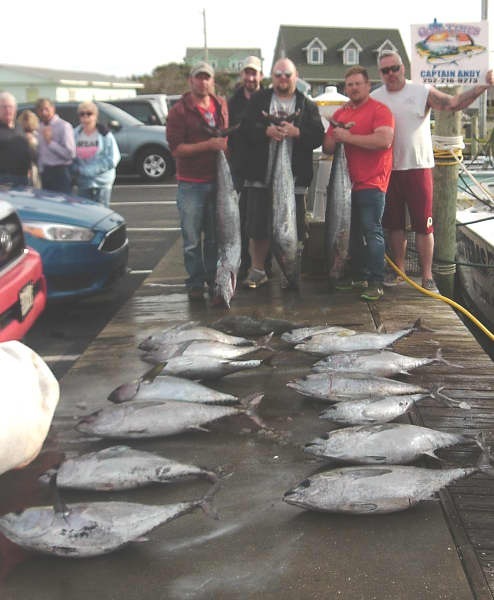 Good Times : Twila Waugerman of York Haven, PA caught a 38lb King Mackerel.